I want to see MA Prev Hindi exam results of University of Rajasthan. Will you please provide the procedure to reach the page where I can get information? As you are looking for MA Prev Hindi exam results of University of Rajasthan ,here I am providing the process to reach the page where you can get detailed information . Click on Result which is on the bottom of the page . You can see Latest News which is on the mid of the page . 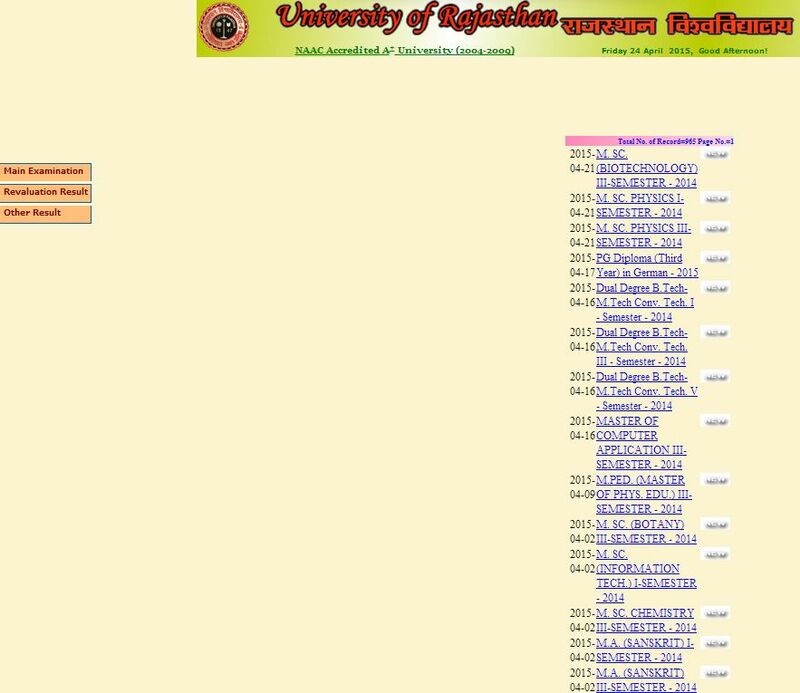 Whenever it announce by University of Rajasthan, information will be display on the results section .